This morning I tried to file a request under the Freedom of Information Act of the Department of Justice Civil Division. The site provides no email address but instead requires use of an interactive online form. However, the site each time rejected my submission without explanation. Most government agencies provide an e-mail address for FOIA requests. But for the DOJ Civil Division, the only recourse is to submit a request by mail, thus burdening the public and creating an obstacle to transparent government. I am noting this now to document how long the problem persists and share this information with the public and government officials. On August 4, 2014 Andres Robles, through his attorney Andrew Free, went on record with a motion explaining why the court had jurisdiction to hear his case under the Federal Torts Claims Act. Two days later district court judge Carl Barbier in Louisiana endorsed it. The one-line decision states: "For the reasons outlined in Plaintiff's Opposition, IT IS HEREBY ORDERED that the government's Motion to Dismiss for Lack of Jurisdiction (Rec. Doc. 18) is DENIED." 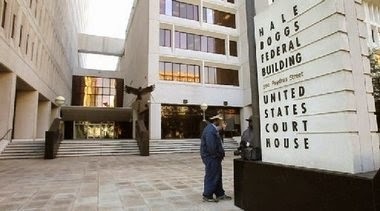 U.S. citizen Andres Robles may pursue redress for his country's refusal to recognize him as a citizen, leading to his detention, deportation, and further Kafkaesque ordeals from the persistent incorrect entries in federal databases. For the original complaint and background, please go here. interview by NPR's Story Court (along with his sister Maria) and his interview on Al Jazeera English.